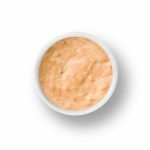 Louie Dressing is the perfect topping for a Crab or Shrimp Louie. This recipe is easy to make. Chill before topping your Crab Meat or Shrimp Meat. Simply enjoy! In a medium bowl, whisk together dressing ingredients until well combined. Refrigerate until ready to serve. That's it! Now it's time to make you salad and enjoy! !